puff! i guess this covers the basic understanding on how to do these magical shiny bubbles :] to add, you can always do this your way and take out of my tutorial whatever fits your approuch... hope its helpful! bubble progression from (top) left to right. used tools: photoshop, paint tool sai and wacom tablet. Really interesting. Cool and well explained! thank u this tutorial is great!! 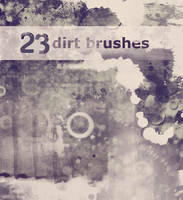 The most frustating is to find the right brushes!!! You used both photoshop and Paint Tool SAI, but to be honest, I don't know how to make such a soft round brush like yours here on SAI. try default soft brush in Ps or soft or water brush in SAI, it should do the trick with a little bit of practise! I used this here XD it look so pretty ! I finally did it for the first time, after a long wait, thank you very very much My result. I tried it. :3 Thanks a lot for this awesomely easy and cool tutorial! Thanks to this tutorial I finally know how to make a blooming light effect. I love your works, Apofiss. You're the best. Oooh! I need to try this! thank you so much for your tutorial! I also like your the use of colors! Could you possibly contribute this tutorial to my group Graphics and Resources? I think that this tutorial was very helpful. Sometimes what real looks so much better if you embellish it, though that borders on what's there, or what is pleasing to the eye, generally outside of realism, if it looks good, it's good. Love the perspective of light to dark contrasts, it really does a great job of making this pull together. You made it so simple and that means you're observative. I tried it out here! The video is gone :c.
thank you for the tutorial! this is my attempt link!